Since I joined CAIR-CT in January the first three months of the year have been an amazing whirlwind. I started by officially re-opening our office in Hartford and brought in furniture and office equipment donated by local community members. We can’t do our work if we don’t have the right equipment. Jazakallah Khairan to those who contributed. My first priority was to reach out to masjids in the area with weekly tabling and Know Your Rights trainings. During family nights I met many local leaders and community members who spoke to me about the services and activities they would like to see CAIR CT undertake. During the next year I will inshallah visit each of the 53 masjids in the state at least once, and our staff and volunteers will be be there more frequently. Too often we think of Islam in the United States as immigrant religion, but nearly 1 out of 3 Muslims in America is African American. February’s Black History Month gave us the opportunity to highlight and honor this important community that anchors Islam in America. Through our participation seminars at local colleges and universities we made the connection that slavery, the civil rights movement, and the ongoing struggle for equality are essential parts of the American Muslim story. The NAACP and Black Lives Matter are important civil rights allies and I look forward to working with them and other groups as we fight Islamophobia and prejudice in Connecticut. Finally I want to welcome CAIR-CT’s new part time outreach coordinator, Br. Yusuf Mansoor. Many of your know Br. Yusuf and his family from the Islamic Association of Greater Hartford (Berlin Mosque). He will be an essential asset to our work in promoting civil rights in Connecticut. 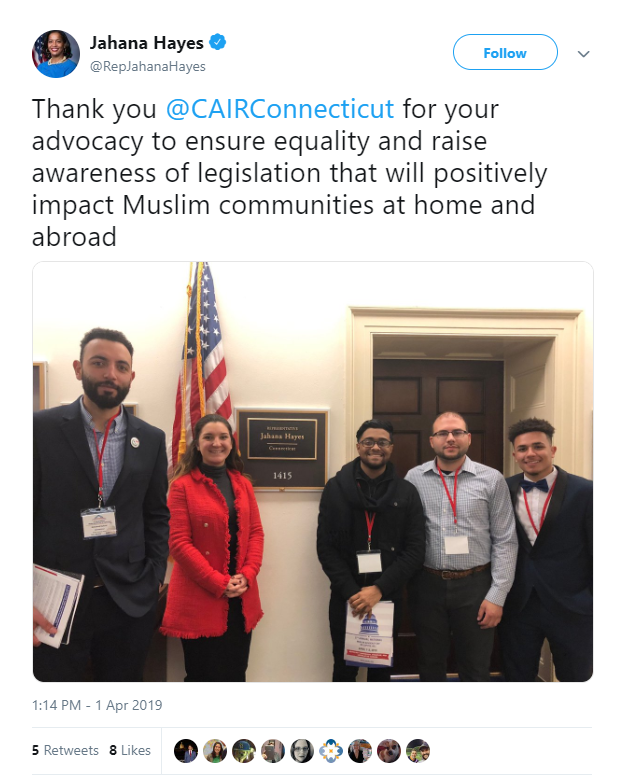 March 2019 was been a busy month for CAIR Connecticut. Our Executive Director, Tark Aouadi set up a CAIR Table Fridays at masjids across Connecticut from Windsor to New London. In addition he spoke at several important events organized by both mosques, community allies and state government. 3/1 – Friday tabling event held at the Islamic Center of Wallingford. 3/1 – Family Night with Suhaib Webb – Organized by the Islamic Center of Connecticut, along with Pure Hands, a charity raising money to support people impacted by the War in Yemen, held in Windsor. Suhaib Webb’s talk was inspiring, and Pure Hands’ appeal to help the people of Yemen was deeply impactful. 3/7 – CAIR issues a statement calling for the resignation of Marion McGarry (D-12), a member of the Stamford Board of Representatives, for sharing anti-Muslim and xenophobic posts on Facebook. McGarry has since left the Democratic Party, but she continues to vote on the Stamford Board of Representatives. 3/15 The tragic killing of 50 Muslims attending Friday prayers in Christchurch, New Zealand shocked the world. CAIR-CT was quick to denounce this act of hatred. ED Tark Aouadi, along with several representatives of the Muslim community attending a vigil at the Jafaria Association of Connecticut. Tark Aouadi spoke at the Islamic Association of Greater Hartford, along with United States Senator Blumenthal, and representatives from other faith communities and interfaith organizations. 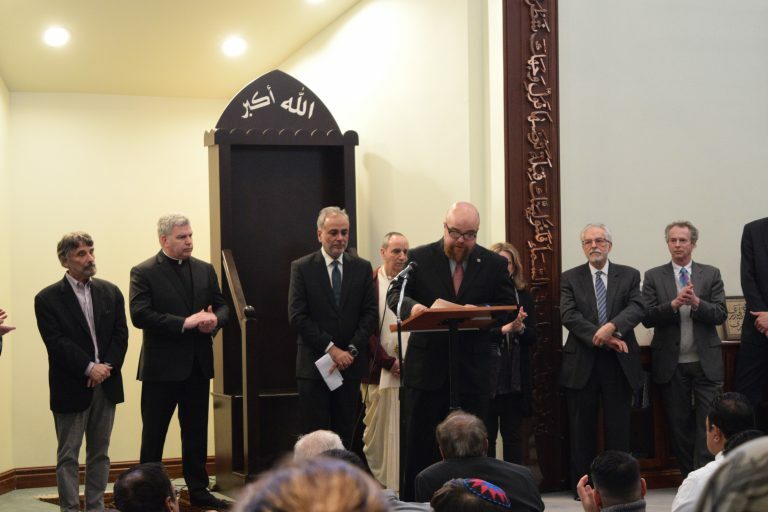 It was a stirring reminder of the support the Connecticut Muslim Community has, in the face of a horrific terrorist attack. View CAIR-CTs statement here. 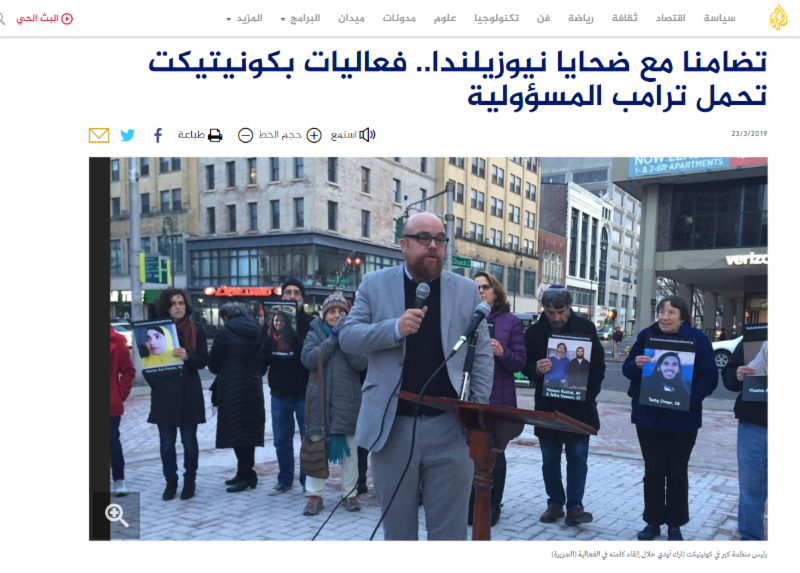 Executive Director of CAIR CT Tark Aouadi was featured in the Politics and News Section of Al Jazeera for his participation in a multi faith vigil in New Haven, for the victims of the New Zealand terrorist attack. Many different faith leaders attended the event including Rabbi Brockman (right). 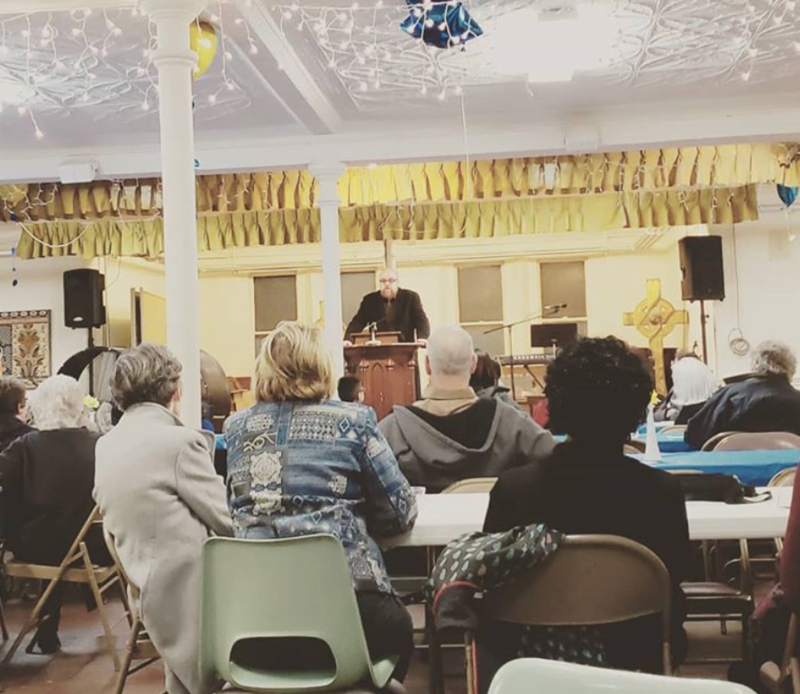 Held in New Britain, Tark Aouadi spoke to the Interfaith community of New Britain speaking about Islam’s view on immigrants. 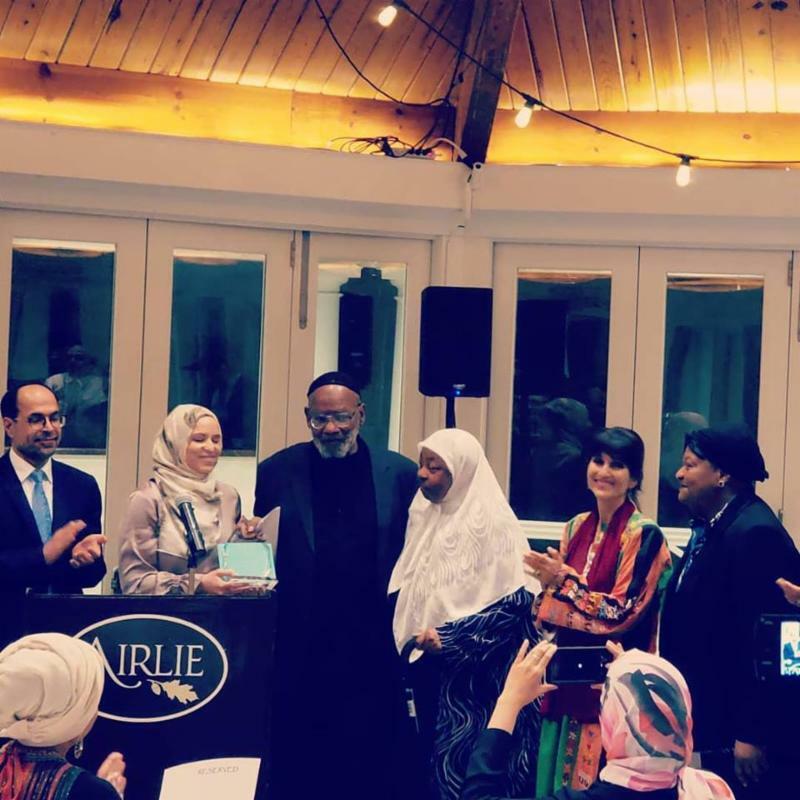 Dr. James Jones was honored by CAIR National leadership at the National Council Meeting (NCM). Dr. Jones was the Secretary of the Board of Directors for CAIR National. 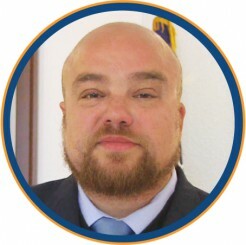 He and his wife Matiniah Yahya have both served on the board of CAIR-CT.
participate in National Capitol Hill Day in Washington. Muslim activists met with various Representatives, Senators, and staff members on the Hill to discuss issues of social justice with. We met with the offices of US Senator Richard Blumenthal and US Senator Chris Murphy. 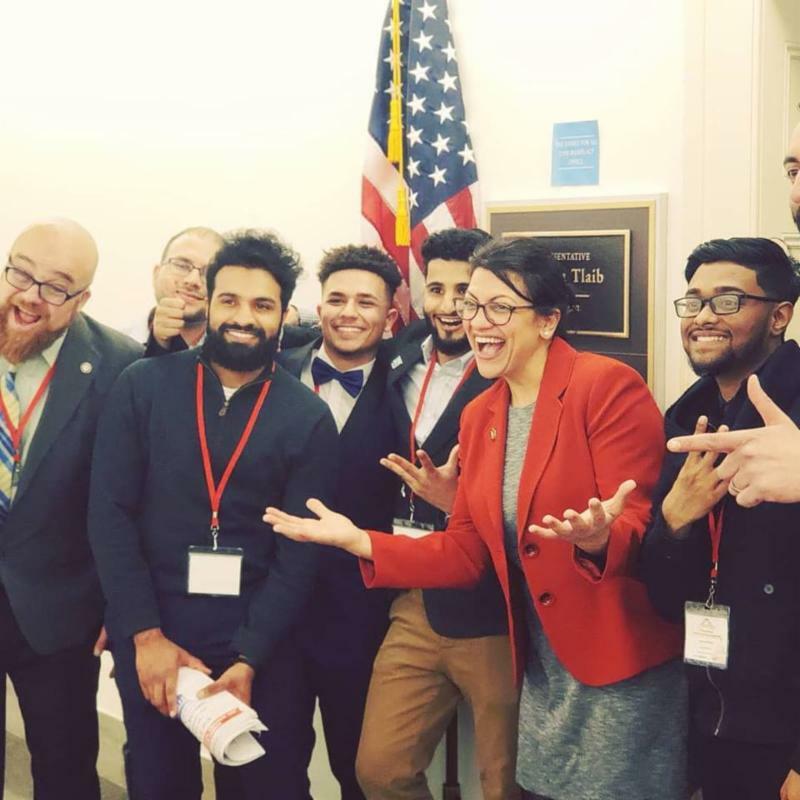 The Connecticut delegation to Hill Day also got to meet with Michigan Representative Rashida Tlaib! 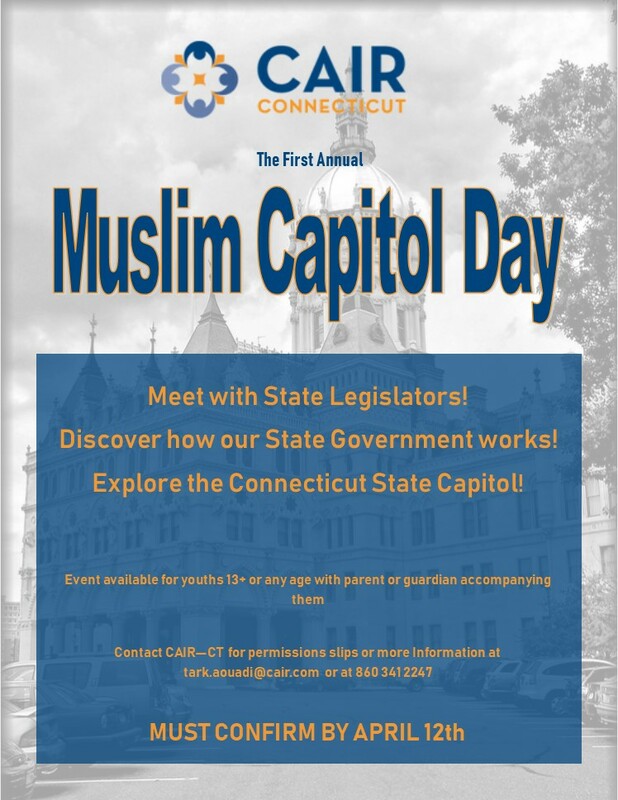 You can make an impact on local legislators in just 10 days at Connecticut’s First Annual Muslim Capital Day in Hartford. An event for Muslim 13 to 25 to learn about government! Come down to the State Capitol to learn about our democratic processes. We’ll have tour around the Capitol and Legislative Office Buildings, listen to a Seminar on Lobbying and Civic Engagement, and have an opportunity to visit with local legislators. RSVP to tark.aouadi@cair.com BEFORE APRIL 12TH TO ENSURE YOU GET A SPACE. CAIR-CT needs your help to continue the good work that we are doing. This year we’re doing something a bit different. On Saturday April 27 we’re holding an invitation only fundraising lunch for our supporters in Cromwell, CT.